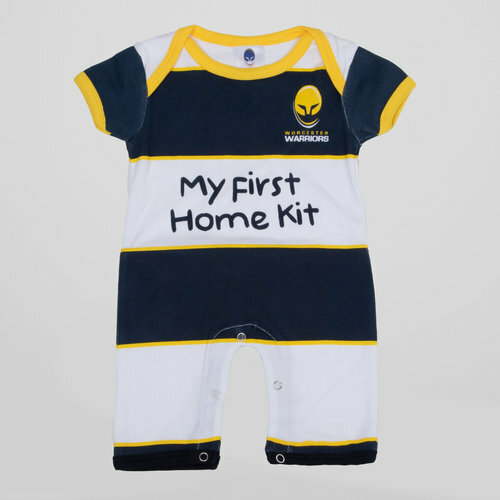 Start your children supporting the team who play their rugby at the Sixways Stadium from the earliest age when you put them in this Worcester Warriors Infant Romper Suit. 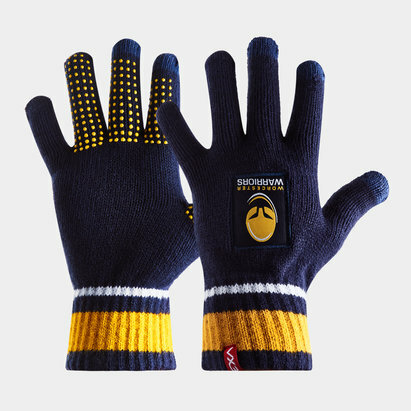 Worcester Warriors play their rugby in the Gallagher Premiership and have done since the 2004/05 season. Their best finish came in 200506 when they finished 8th. This season they look to do even better. 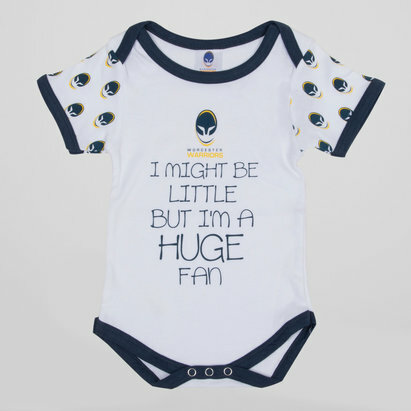 This romper suit has been designed to look like a smaller version of the kits that the team play in. True to tradition this suit uses colours navy and gold as well as white. The Worcester Warriors badge is on the left and the middle of the suit features the words "my first home kit". This suit comes with popper buttons to make access easier for baby changing.